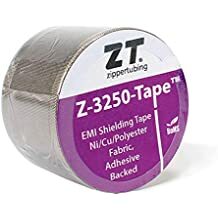 Shrink N Repair - Shrink N Repair - Trade Names - ZT | Zippertubing Co.
Never Disconnect Another Wire, Cable or Pin Again! Quickly Repair & Protect Your Wires with Wrap-Around Heat Shrink. 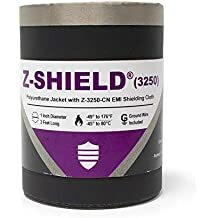 Zippertubing's Shrink-N-Repair® is a wrap-around heat-shrink solution that can be used during side-entry installations to repair or add secondary insulation to wires and cables. These products are perfect for electrical wire repair where you are unable to disconnect or access the end of your application. Shrink-N-Repair, wrap-around heat shrink. Cover, wrap, or bulk up your wires for better protection and organization. Zippertubing's Shrink-N-Repair® wrap-around heat shrink products offer a unique solution to repair damaged, cracked or chafed wires and cables. These products are perfect for electrical wire repairs where you are unable to disconnect or access the end of your application. Unlike other forms of heat shrink that are tubes, Shrink-N-Repair® is a wrap, which wraps around your wires. You’ll never ever again need to slip, disconnect or re-wire prior to installation. The only tools that you’ll need are scissors and a high temperature heat gun. How is the product installed? It’s as easy as open, cut, wrap, stick and heat. This UL recognized indoor/outdoor wire repair heat shrink is not your standard heat shrink, the Shrink-N-Repair® wrap-around heat shrink products will provide an additional layer to your existing wire or cable and offers more abrasion protection where it’s needed. These products could be used in virtually any automotive, airplane, industrial, commercial or residential industry. Shrink-N-Repair® is offered in a 3 foot rollor a 1 foot stick and can be cut to your desired length and width covering your damaged wires. Zippertubing offers two types of Shrink-N-Repair® products; Shrink-N-Repair® (Thin), and the version you see here, our standard Shrink-N-Repair®. The standard version of Shrink-N-Repair® is currently available in black, white and clear. Purchase Shrink-N-Repair® in bulk through Zippertubing, or single units through Amazon! Save time and get better protection on any job with Zippertubing’s Shrink-N-Repair® wrap-around heat shrink products. All the benefits of heat shrink in a wrap-around solution! One size fits most repairs up to 1/2"
Material Thickness 0.035" - 0.055"